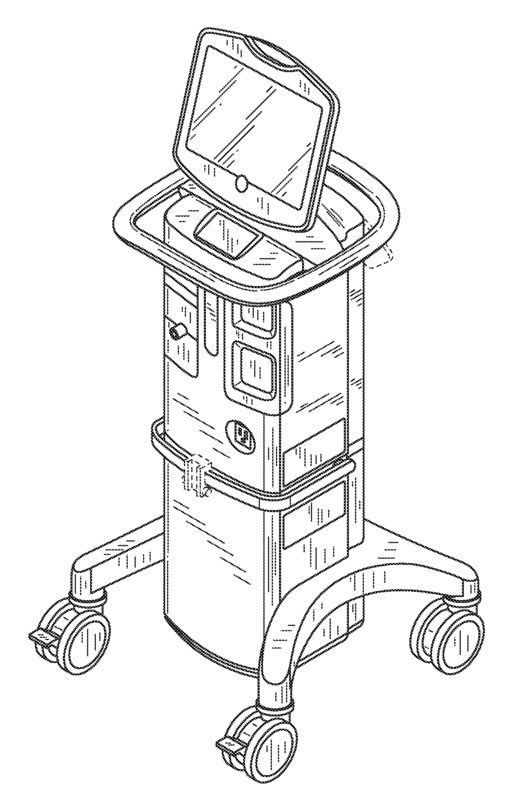 This Nellcor Puritan Bennett patent directed towards a medical cart has been rated one of the most influential design patents in the field of medical and laboratory equipment. 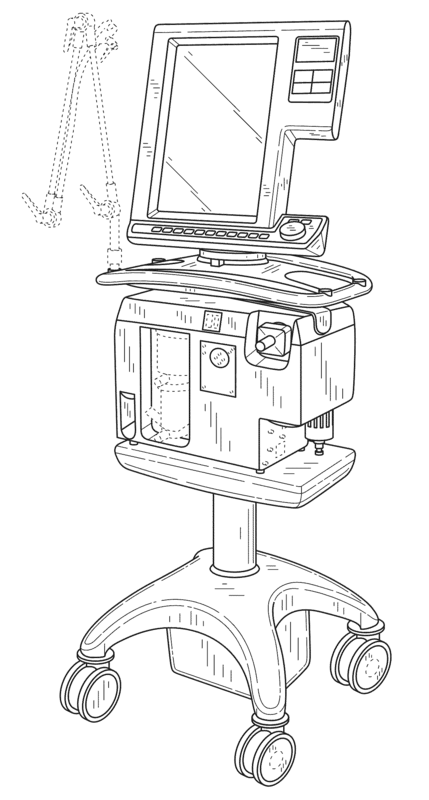 Nellcor Puritan Bennett LLC was awarded U.S. Patent D652936 entitled “Medical cart” on January 24, 2012. The patent has been cited 92 times by other U.S. patents, which places it among the most cited design patents awarded since 2010 according to our law firm research. Nellcor Puritan Bennett filed this patent on January 10, 2011 giving it a processing time of 379 days (compared to an average processing time of 552 in the field). They have a total number of 475 patents. The first named inventor is Christopher G. Ross of Del Mar, CA. The patent was allowed by primary examiner Mary Ann Calabrese. Freedom to Operate Searches & Opinions – Identify patents may give you potential infringement issues (including in the medical and laboratory equipment field). 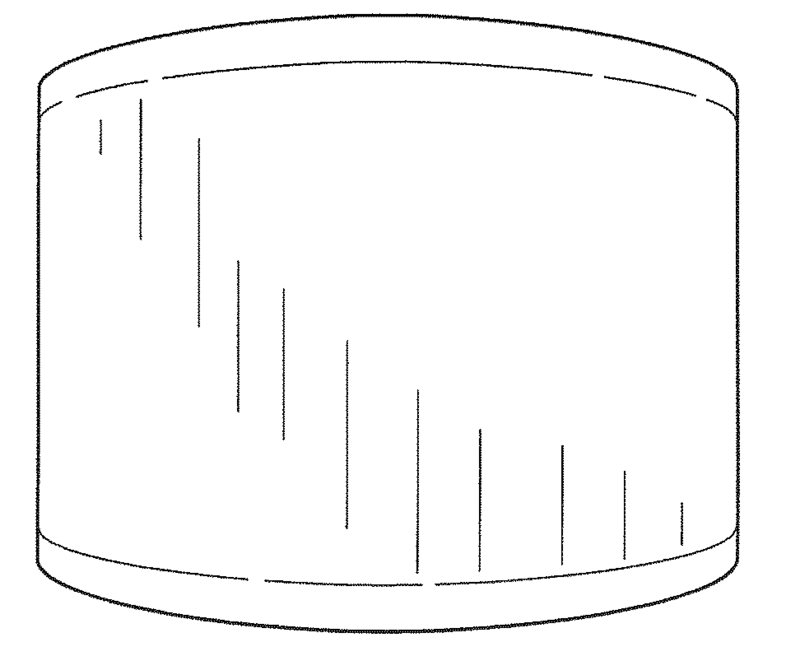 This Nellcor Puritan Bennett patent directed towards a ventilator display screen with an alarm icon has been rated one of the most influential design patents in the field of recording, communication or information retrieval equipment. Nellcor Puritan Bennett LLC was awarded U.S. Patent D638852 entitled “Ventilator display screen with an alarm icon” on May 31, 2011. The patent has been cited 156 times by other U.S. patents, which places it among the most cited design patents awarded since 2010 according to our law firm research. Nellcor Puritan Bennett filed this patent on December 4, 2009 giving it a processing time of 543 days (compared to an average processing time of 373 in the field). They have a total number of 475 patents. The first named inventor is Mark Brecht of Imperial Beach, CA. The patent was allowed by primary examiner Cathron C Brooks. 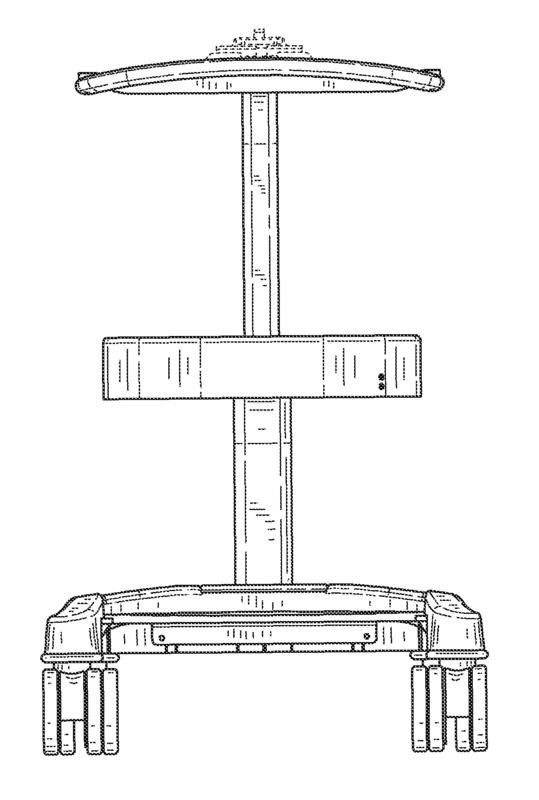 This Nellcor Puritan Bennett patent directed towards a medical cart has been rated one of the most influential design patents in the field of medical and laboratory equipment. Nellcor Puritan Bennett LLC was awarded U.S. Patent D632797 entitled “Medical cart” on February 15, 2011. The patent has been cited 125 times by other U.S. patents, which places it among the most cited design patents awarded since 2010 according to our law firm research. Nellcor Puritan Bennett filed this patent on December 12, 2008 giving it a processing time of 795 days (compared to an average processing time of 548 in the field). They have a total number of 475 patents. The first named inventor is Christopher G. Ross of Del Mar, CA. The patent was allowed by primary examiner Mary Ann Calabrese. This Nellcor Puritan Bennett patent directed towards a medical ventilator has been rated one of the most influential design patents in the field of medical and laboratory equipment. Nellcor Puritan Bennett LLC was awarded U.S. Patent D643535 entitled “Medical ventilator” on August 16, 2011. The patent has been cited 121 times by other U.S. patents, which places it among the most cited design patents awarded since 2010 according to our law firm research. Nellcor Puritan Bennett filed this patent on December 4, 2009 giving it a processing time of 620 days (compared to an average processing time of 482 in the field). They have a total number of 475 patents. The first named inventor is Terry L. Landis of Solana Beach, CA. The patent was allowed by assistant examiner Anhdao Doan. This Nellcor Puritan Bennett patent directed towards a ventilator display screen with a user interface has been rated one of the most influential design patents in the field of recording, communication or information retrieval equipment. Nellcor Puritan Bennett LLC was awarded U.S. Patent D649157 entitled “Ventilator display screen with a user interface” on November 22, 2011. The patent has been cited 103 times by other U.S. patents, which places it among the most cited design patents awarded since 2010 according to our law firm research. Nellcor Puritan Bennett filed this patent on December 4, 2009 giving it a processing time of 718 days (compared to an average processing time of 373 in the field). They have a total number of 475 patents. The first named inventor is Christopher G. Ross of Del Mar, CA. The patent was allowed by primary examiner Cathron Brooks.